When it comes to protecting your eyes from the sun’s glare, you want to do so in style. This is where the fashion forward eyewear brand Quay Australia fits into the picture. At Holt Eye Clinic we now carry the latest line of Quay glasses. Whether you are into the funky look of Fleur or prefer the aviator look of Running Riot, we have a perfect pair of Quay sunnies for you. Do Quay Brand Sunglasses Offer UV Protection? The lines of Quay brand sunglasses we carry offer 100 percent UV protection against UVA and UVB rays. Choosing UV protective sunglasses helps you to avoid sun damage to your eyes. Without proper UV ray protection, your eyes can experience irreversible damage, as well as cataract formation and macular degeneration. Can I Purchase Quay Australia Sunglasses in Hot Springs, AR? We offer the complete line of Quay Australia sunglasses in Hot Springs. This includes the Fleur, Running Riot, Invader, and Kitti, which are the latest glam styles for women. The Fleur, Invader, and Kitti styles feature the season’s cat eye frame, while the Running Riot design is an old school aviator cut. If you are ready to purchase the coolest sunglasses in Hot Springs, let our optometrist assist you. 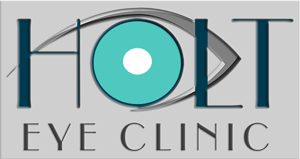 Here at Holt Eye Clinic, we are a full-service eye and vision care center. We also provide comprehensive eye exams and Contact our office at 501-624-0609 to schedule an appointment for prescription lens fittings for Quay glasses today.